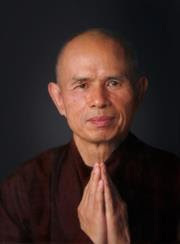 We are a Buddhist meditation and practice group in the tradition of Thich Nhat Hanh. We meet Mondays from 5:30-7:00 pm on the second floor of the Church of Universal Fellowship at 82 Main Street in Orono, Maine. Newcomers are warmly welcomed and meditation guidance is available.